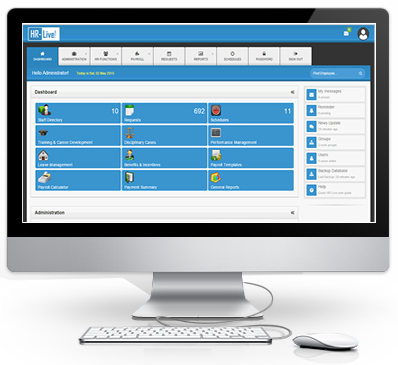 Software Overview HR-Live Suite is an integrated Human Resources and Payroll management solution specifically designed for use in Nigeria. It is a robust and secure application that is available on the Cloud, Stand-alone (offline) computer or Local network environment. Having subscribed to the new cloud version of HR-Live, I was impressed at the ease of operating this payroll package which has obviously been designed for the future. I have no hesitation in recommending HR-Live. IT Head - Enugu State Housing Development Corporation.